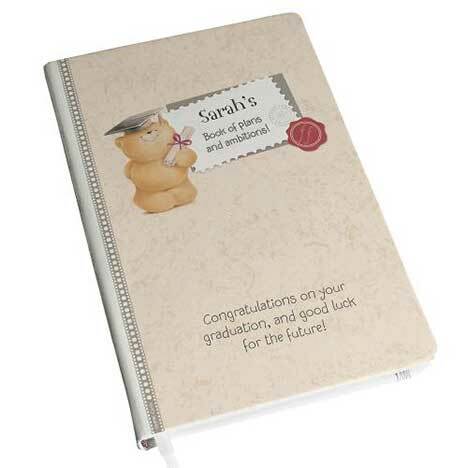 Personalised Forever Friends graduation hard Back notebook - a unique and thoughtful gift for a new graduate to keep record of their plans and ambitions. Personalise with a name up to 12 characters and a message over three lines up to 25 characters per line. ‘book of plans and ambitions!’ is fixed text.